YUM is the package management tool that helps to install or update the package through the network or local, the same time it provides an easy method to install a package with its dependent packages. Configuration files are under /etc directory, /etc/yum.conf is the mail global file that contains the global options such as cache directory, computer log directory, etc… To add new or update the existing repository, you need to go the /etc/repos.d directory and create or open a file that ends on .repo respectively. 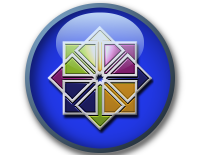 This document is applicable to both CentOS version, 7 and 6. Before creating new repository file, you must know the repository source ( where the packages stored locally or remotely). The repository sources can be created either using a createrepo package or mounting the DVD on the directory. Mounting the DVD/CD ROM will lead to saving the space on HDD used by being copied to HDD. Create a directory to mount CD/DVD ROM. For Example. Mount the CD/DVD ROM on any directory of your wish, for testing, mount it on /cdrom. Before creating a new repo configuration file, I request you to move the default OS repository files to some other directory or remove the unwanted repository file. Create the new repo file called cdrom.repo under /etc/yum.repos.d directory. [cdrom] = Name of the Section. Install any package using the yum command. For example, let us install the VsFTPD package using the YUM. That’s all. You have successfully configured the local repository on the machine. But, it is limited to the single machine where the CD or DVD is mounted.